One of my worst habits that I find annoying about myself is when I come home after a long day of work, I tend to throw my jacket on the nearest piece of furniture. 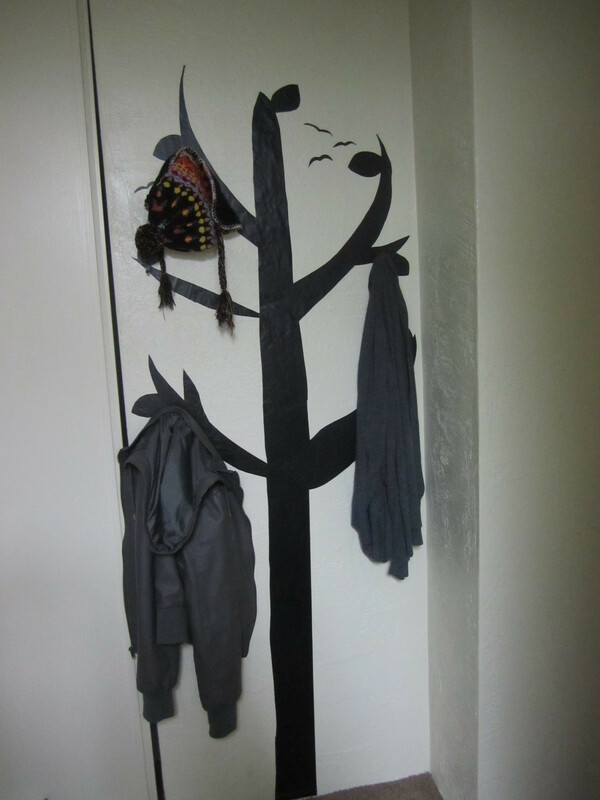 I hate the way a coat stand takes up space, so I decided to put hooks in the walls, but that looked terrible. 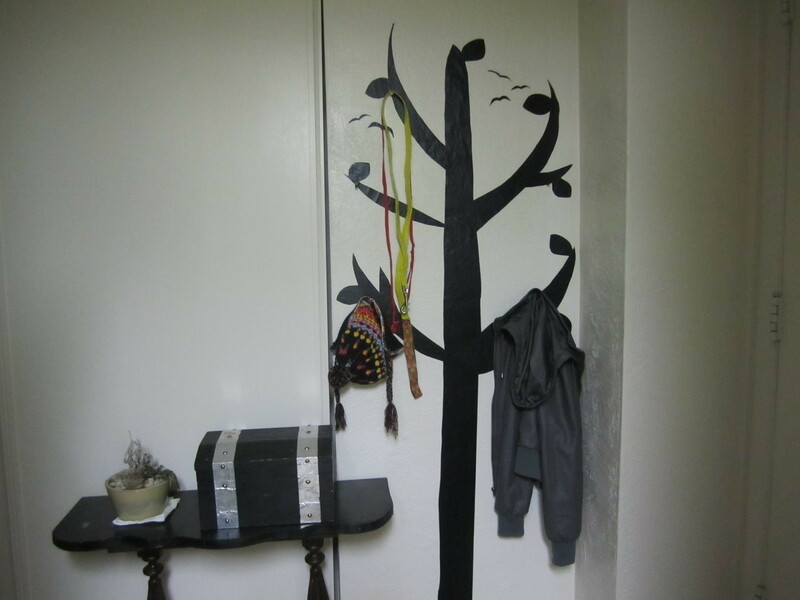 Instead, I made a tree wall decal to make it look as if my clothes and stuff are hanging off of the tree branches. Enjoy the tutorial. I adore this! So cute! Love it. I've got hooks all in my walls cause I have too many hoodies to fit in the closet, but this would make it look neater. wow, that is so clever! i just moved into my boyfriends place, and it's quite small so something like this is perfect. Thanks for the inspiration.